Melody Gray Tholstrup is the owner of MY SIZE MARKETING, a marketing consulting firm providing custom marketing, media and PR solutions for small businesses located here in North Alabama. With over 24 years’ experience in the marketing industry, Melody has worked in a variety of areas, ranging from retail sales, print publishing, ad agencies and internet marketing, to public relations, media planning and promotional event coordination. 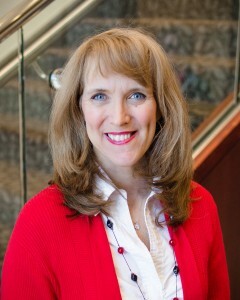 An avid networker, Melody has been and continues to be active in several area professional organizations. For the last 12+ years, she has been an member in the Women’s Economic Development Council (WEDC) where she has served as Committee Chair for the Leadership Training, Outreach and Communications committees. She is also a member of the Public Relations Council of North Alabama (PRCA), and is a member of the Madison Chamber of Commerce. Melody keeps very busy in her free time, supporting the arts and staying active. Over the last 20 years, she has participated in several community theatre productions in the Huntsville area, sung in a blues band with her husband, and recently retired from teaching dance classes at The Dance Company in Madison. She currently serves as Board Member & Choreographer for the Distinguishsed Young Woman of Madison County prrogram (formerly America’s Junior Miss). Most recently, Melody has fallen in love with the sport of running and loves being a part of the Tennesee Valley running community. Melody has been happily married to her “left brain” engineer husband, Clarence for over 20 years. They have 2 awesome kids, both now teenagers, Meaghan and Carson…and of course their other “baby”…their rescue dog, Molly. Melody loves helping small businesses grow and would love to help you with your marketing efforts. So, if you would like a free assessment of your current marketing plan and materials, contact Melody at 256-468-4506 or visit the contact page and send us an email.